I came across the YA mystery series about Darcy Walker five years ago and fell madly in love with it. Darcy is quirky and easily gets herself into trouble when she accidentally stumbles onto a murder. Determined to solve the murder on her own, Darcy fumbles her way around being a young sleuth in this series that will make you laugh out loud at parts and keep you engaged all the way through. While it is considered to be YA, it is a clean series that is appropriate for mature teens, due to the crime scenes. And it is a series that many adults, including myself, have enjoyed over these past five years. I can’t wait to get caught up on it! 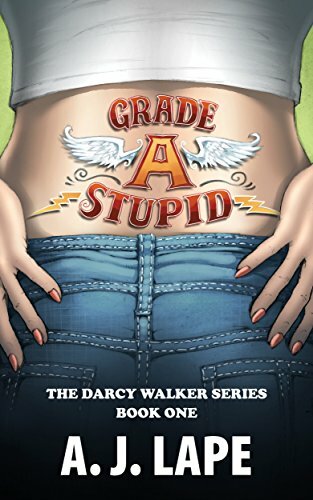 In celebration of the five-year anniversary of the publication of the first book, Grade A Stupid, author AJ Lape has put the series on sale for a limited time! You can get the first four books for just $0.99 apiece, and the fifth installment is free. Check out the books below and then grab your own copies. My Amazon links are affiliate links, so your purchase may help me earn a few extra pennies to support this site, but I think you will enjoy the books as much as I have. Happy reading and sleuthing! Fifteen years ago, Darcy Walker’s parents thought it was a good idea to give her a unique name: Darcy, meaning “dark walker.” Whether that was a stroke of genius or stroke of stupid, they definitely nailed the irony. She lacks direction, her grades stink despite a high IQ, she’s boringly average–although flirting admirers claim otherwise–and God help her, she’s infatuated with a bad boy. Grab Grade A Stupid on Amazon for $0.99. 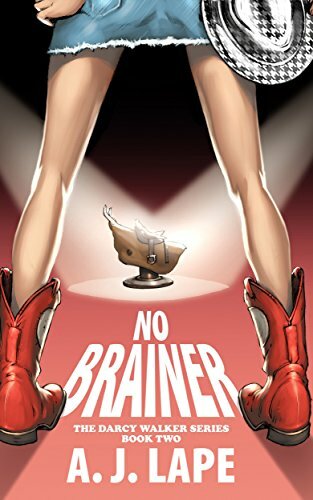 Grab No Brainer on Amazon for $0.99. 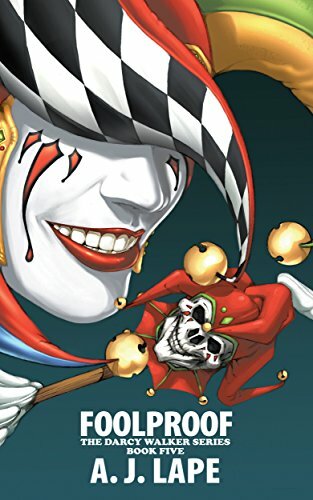 Tapping her band of misfit brothers for help, she turns Valley upside down trying to unearth the criminals. Problem is, the cloak and dagger goes high-octane, and she raises the bar on “crazy” in the process. 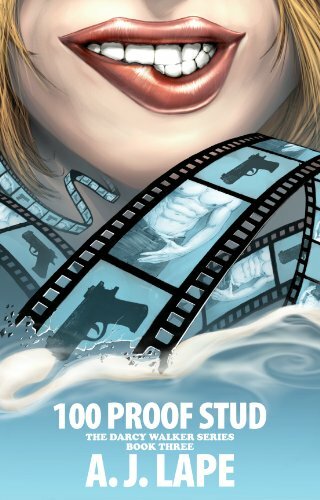 Grab 100 Proof Stud on Amazon for $0.99. Fisher Stanton, Valley High School’s Nantucket wannabe, has a cheating girlfriend. When he hires Darcy Walker to chase her to a local club, in true Darcy fashion she stumbles upon a dead body. Thing is, this body has secrets…and Darcy’s mysterious friend, Jaws, and the reporter, Tito Westbrook, have a vested interest. Both enlist Darcy to find the person responsible who has eluded them for years, but Darcy doesn’t solve crimes for free anymore–especially where Jaws is concerned. Knowing Darcy’s Achilles heel, Jaws blackmails Darcy into working for him. In a true test of wills, Darcy and Jaws battle head-to-head—Jaws needs Darcy to help him end a bitter grudge war; Darcy needs Jaws to divulge the mystery surrounding her mother’s death. Haunted by a past that shapes her present, Darcy will stop at nothing to get answers. Even if it means breaking the law and being disloyal to her new boyfriend, Dylan Taylor, in the process. DEFCON DARCY gives Darcy’s demons a name and ties up loose ends that make Darcy into the verb that she is. What she thinks she knows as truth, isn’t. What she wishes wasn’t true…is. 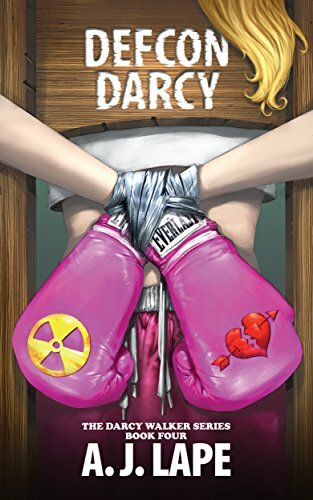 Grab Defcon Darcy on Amazon for $0.99. Grab Foolproof on Amazon for FREE.